Reusable Ultra Hi-float Dispenser Pump Kit required to dispense the correct amount of Hi-Float into the balloons. 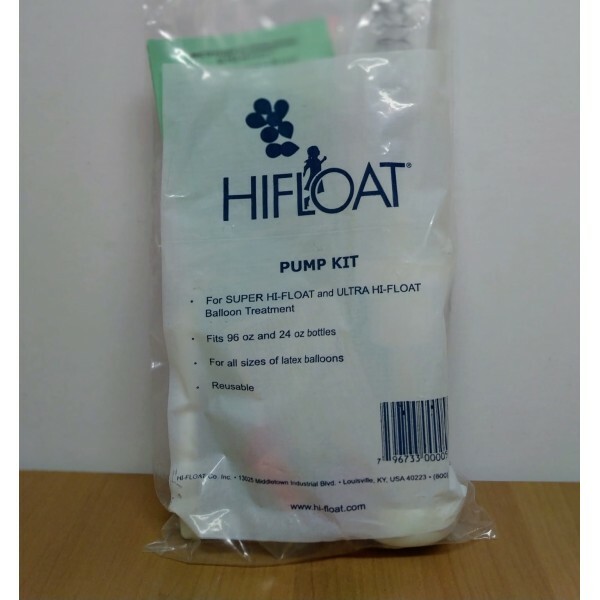 Ultra High-Float needs to be ordered separately, available in a 24oz bottle (710ml) and will treat approx. 140 x 11" latex balloons.